All seafarers, mandatory minimum requirements according the international convention on Standards of Training Certification and Watch keeping for seafarers, STCW 2010. Familiarization and basic safety training. 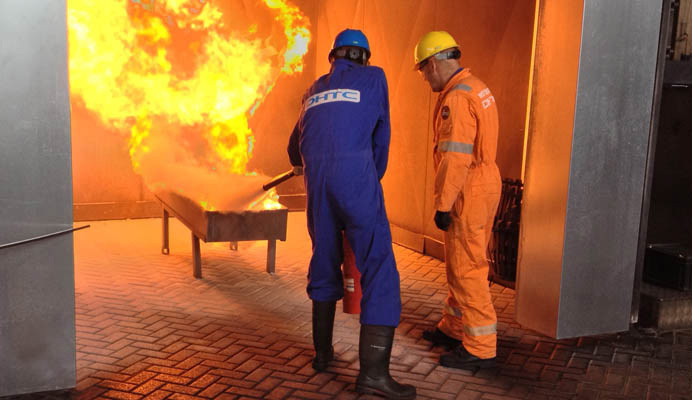 Participants acquire a minimum level of understanding the circumstances and hazards and the control measures for these. 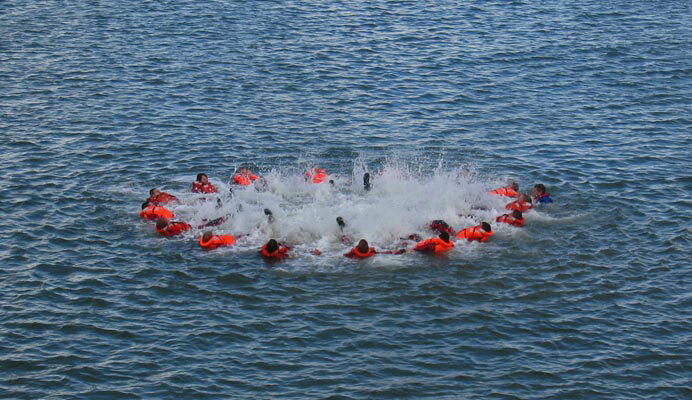 Don and use an immersion suit, personal and group survival techniques, survival at sea. Right an inverted life-raft while wearing a lifejacket. Fire prevention and fire fighting, including the use of breathing apparatus. Elementary first aid and transport of casualties. Personal safety and social responsibilities and fatigue. Take precautions to prevent pollution of the marine environment. Written tests, these must be completed with satisfactory results. The course participant must be in the possession of a valid seafarers medical certificate.